Have that much-needed alone time! 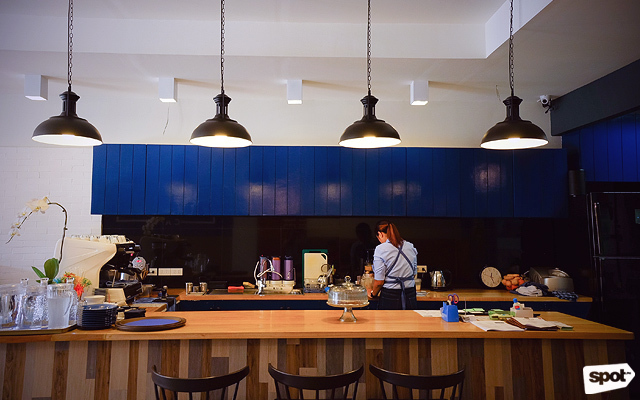 (SPOT.ph) Eating out isn’t normally seen as a solitary activity—at least in the Philippines. Restaurants are almost always places to catch up with friends and family. 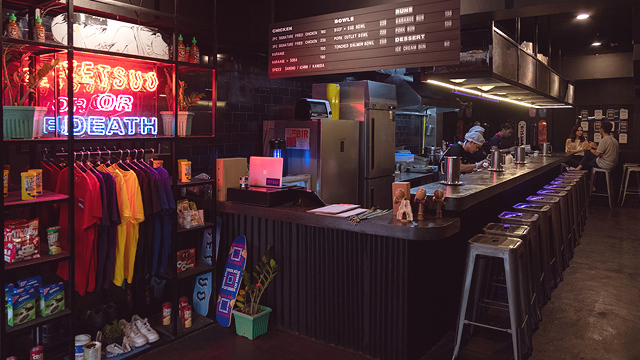 But we get that there are days when you don’t feel like sharing a table, so we’ve rounded up a list of 10 cozy restaurants in Quezon City where you can get much needed alone time while chowing down on tasty food, from ramen to burgers. 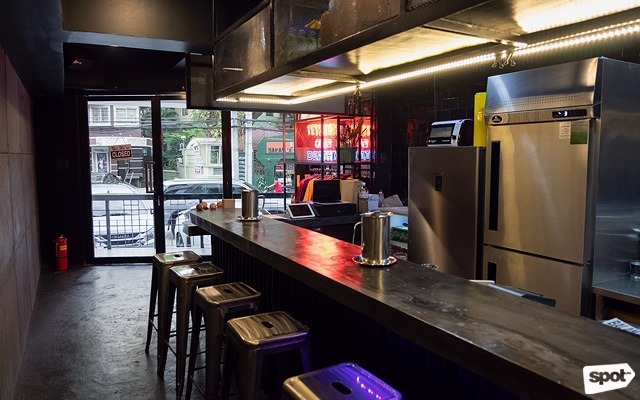 With their bright neon aesthetic, Tetsuo may not seem like a place to fly solo. But this fried-chicken joint along Katipunan features an open kitchen and bar that can make even the shyest of introverts comfortable. 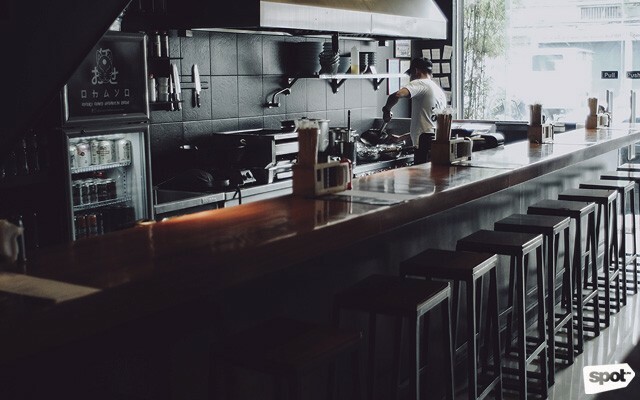 Diners can watch how their orders are prepared and can even chat with the kitchen staff. 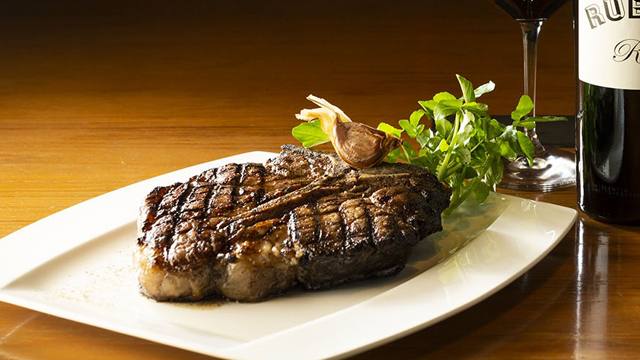 Diners can also choose to focus on their food, and with Tetsuo’s umami-centered menu, they’ll want to. Every single dish here is savory, flavorful, and rich. Tetsuo is at 88 Esteban Abada Street, Loyola Heights, Quezon City. Breakfast has long been branded as the most important meal of the day, and at Tyler’s Café in Katipunan, you can get it at any time. The cafe is warm and welcoming, thanks to floor-to-ceiling windows that let in a lot of natural light. Everything here is made in-house too, from the cheeses and jams to the bread and bacon. You'll feel as if you’re having a meal right at home. This cozy sushi joint at UP Town Center is best known for serving both traditional and not-so-traditional maki, hand rolls, and poke bowls. But while you can choose to get your sushi fix to go, you can also opt to dine in. There’s a bar that looks out on to the window, making it an ideal spot to people-watch while chowing down on some sashimi and sushi rolls. 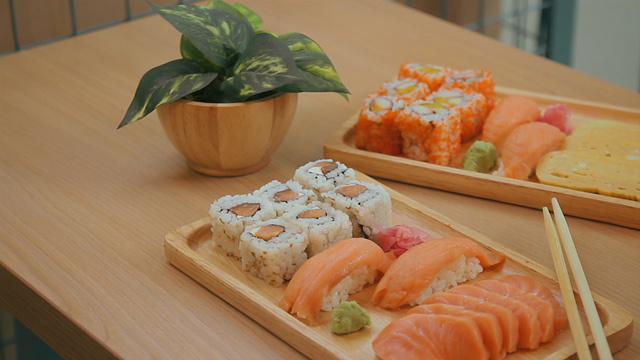 Sushi Nori is at 2/F UP Town Center, Diliman, Quezon City. This hidden restaurant may be small, but their menu more than makes up for it. Ohayo serves up almost all of your Japanese favorites, from appetizers like gyoza to all kinds of sushi rolls. 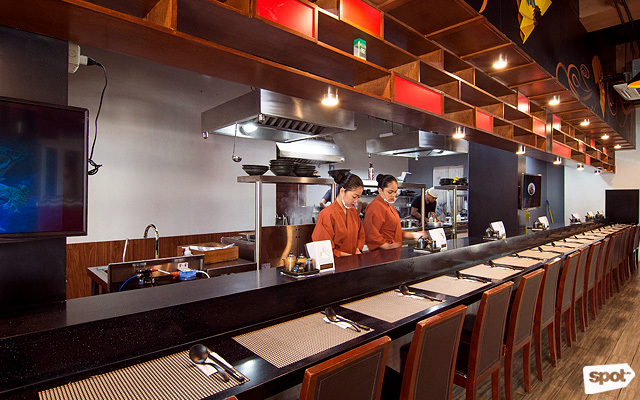 Their ramen is also worth a try, and you can opt to sit by the counter to see it freshly made. Half Saints is a quiet sanctuary right in the heart of Tomas Morato, making it the perfect place for those hoping to escape the busyness of the city. 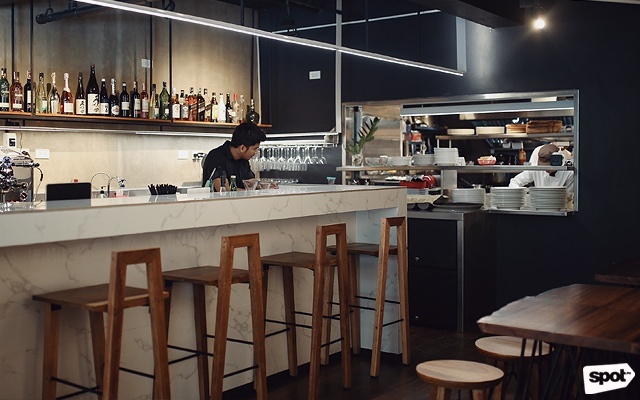 While the café features minimalist interiors, their menu is a bit more eclectic. Half Saints is not just inspired by Filipino cuisine, but also take cues from Japanese and South American cooking, creating fusion dishes that are uniquely theirs. This art store-slash-café gives crafting newbies a one-stop place to nurture their creative hobbies. Not only can you stock up on art supplies like stickers, washi tape, and paint, you can also chow down on hearty snacks while working on your latest project. The café's wide open space can also sometimes play host to workshops and meet-ups with fellow artists. Craft Central Café is at 2/F Ayala Malls Vertis North, North Avenue, Quezon City. If you’re hoping to wait out the traffic along White Plains, then this little café might just be the spot. It’s hard to be in a bad mood while here, as the walls are plastered with sayings like "Good things ahead," and "No bad days." The staff are also extremely friendly and helpful—they’re always happy to chat about the techniques behind their coffee drinks. But if you want to be left alone, they have a bar facing outside the café, perfect for solo diners. Ramen is a dish associated with solo dining and Ramen Shokudo's head chef Atsumu Shimada has perfected the art down to a tee. This Banawe favorite specializes in Yokohama-style ramen, which is known for its rich and creamy broth. You can sit right by the kitchen counter to get a glimpse of just how it’s made. 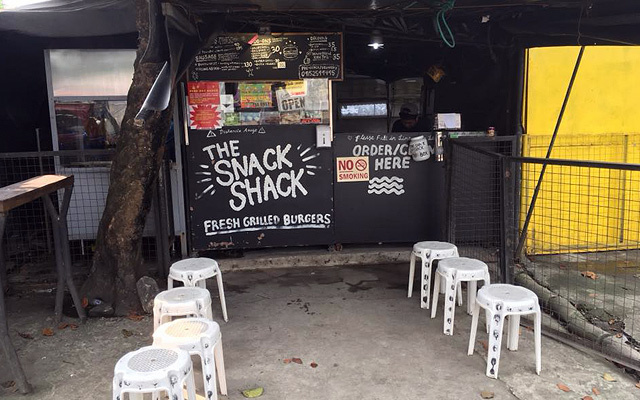 This humble burger stall at UP Diliman has become legendary among college students and outsiders alike. Not only are the burgers juicy and tender, they’re always made-to-order. The only downside is there isn’t always room to sit down and eat, but you can opt to grab a burger and sit by the famous Sunken Garden for some me time. The Snack Shack is at J.P. Laurel, UP Diliman Area 2, Diliman, Quezon City. 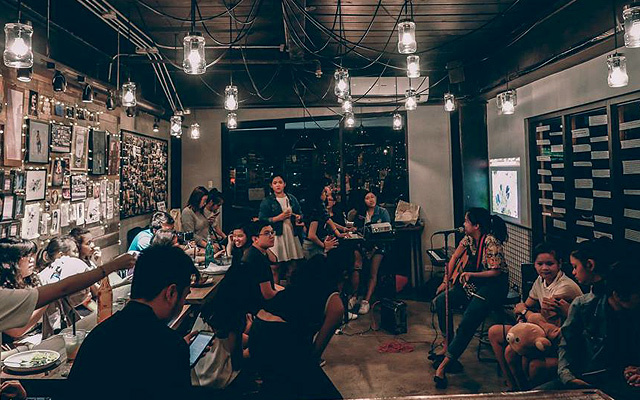 Located in a quieter part of Katipunan, Ella and the Blackbird is a good choice for those hoping to get some work done or just looking for some alone time. 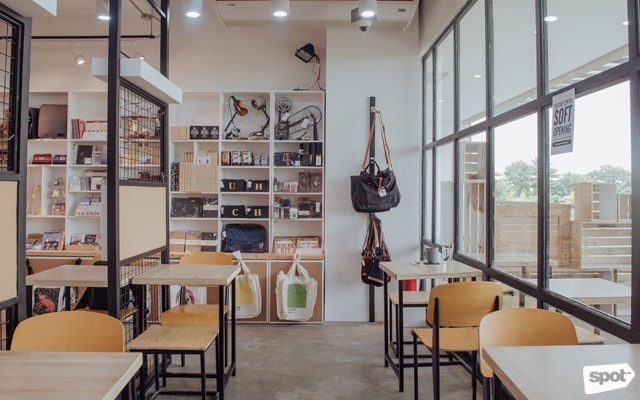 The café's interiors are a mix of rustic and industrial, making for a charming aesthetic that feels very welcoming. 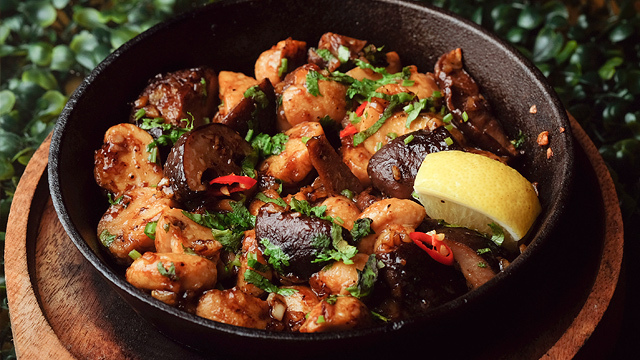 While they’re best known for their coffee, they also serve hearty meals that are worth a try. 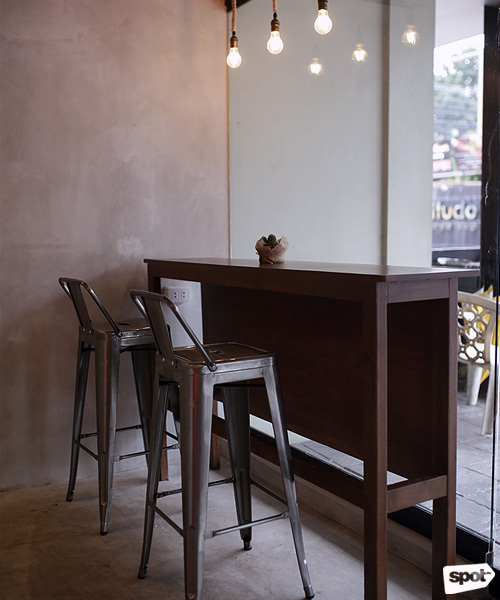 Ella and the Blackbird is at 88 Esteban Abada Street, Quezon City.